The last 100 years of Christianity have been largely experiential—worship, healing, charismatic encounters. Dr AR Bernard believes it’s time to turn to Scripture, because unless the people are taught, how can they understand? 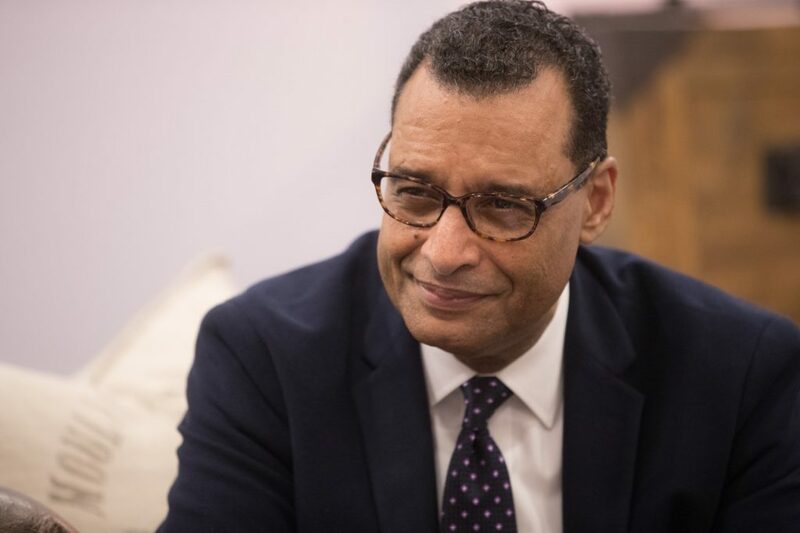 After a three-year hiatus, Dr Bernard, senior pastor of Christian Cultural Center in Brooklyn, New York, returned to City Harvest Church last weekend to deliver a powerful teaching on four things that every person needs to be convinced of about God in order to have a blessed life—the subject of his upcoming book Four Pillars Of A Blessed Life, which will be out in September. In this interview, he elaborates on that teaching. City News: Dr Bernard, your message this past weekend has been about the four pillars for a blessed life. Why this message now? 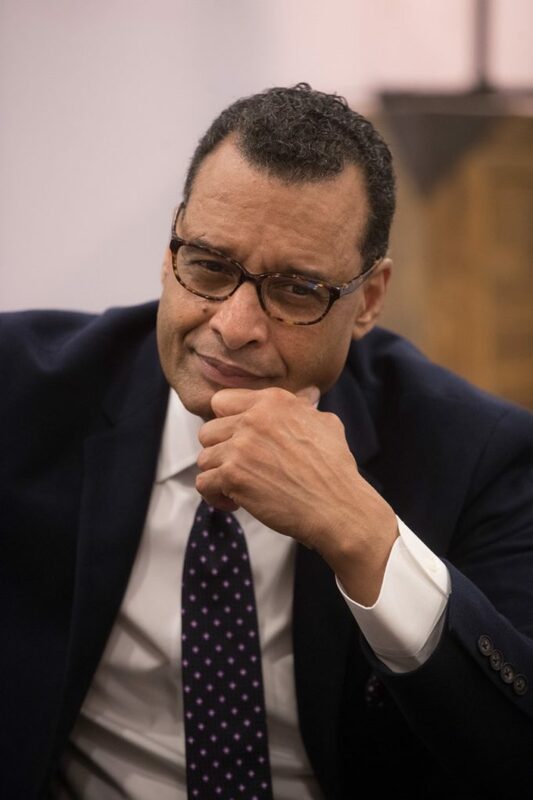 Dr AR Bernard: As I spoke to many people about their spiritual life, as I spoke to pastors about issues that their congregants were dealing with, I said, “Wow, this reflects an unhealthy relationship with God.” What is the reason for that? And as I was reading and studying, those four things, I realized, were foundational: being totally convinced about God’s love for us; being totally convinced that He created us for a purpose; being totally convinced that He designed us for achievement, fulfillment, happiness, satisfaction; and being totally convinced that He is invested in us, He believes in us. And that speaks to what’s common to every human being—believer or non-believer, it doesn’t matter. By virtue of our being made in the image of God, we have this hunger to understand three things: origin, purpose and destiny. You talked about five of six essentials of relationship—what is the sixth? The essentials of relationships are: trust, expectations, intentions, motivations, boundaries and spatiality. All relationships are spatial—they all occupy a certain space. Look at Jesus: He had relationships with the multitudes, the 500 that he ministered to, the 70 that he sent out two by two, the 12 disciples, the three that he took up to the Mount of transfiguration—Peter, James and John—and the one that all the other disciples identified and respected, John. That’s why when He announced He was going to be betrayed, they looked at John. You also taught that there are expectations in every relationship. How would we know what to expect from a relationship with God? By understanding what it means that God loves you. If you don’t understand what it means that He loves you, then you’ll come up with your own expectations, that can be legitimate, illegitimate, reasonable, unreasonable. So, we need to understand what it means when someone loves you. Whether it’s God or a human being, especially God. So, we enter a relationship and I say “I love you”, what does that mean? What does that look like? What can I expect from those words? That’s important. When someone loves you, there are several things that identify that love. I’ll give you one: when someone loves you, no matter what, they’re always committed to your good. Always. No matter what. God is always committed: “I know the plans I have for you, to do you good and not evil, all the days of your life, to give you an expected and anticipated ending or outcome.” We know that all things work for good to those who love God, who are called according to His purpose. And that’s why I define it as absolute faith in God’s wisdom, power and His goodness, His benevolence. So, when you hear “God loves you”, you gotta understand that He is fully committed to always work for your good. When someone says they love you, they’re fully committed to always work for your good. They always have your best interest at heart. That’s what it means to love. And that’s one thing that identifies that love. You also taught that every relationship must have shared outcomes. How do we arrive at these shared outcomes with God? Again, go back to the book. He created you for a purpose. He created you for fulfillment and achievement. He wants you to be happy. But we don’t always agree with what makes us happy. Only God knows and that’s what he tries to teach us, the true way to happiness. We will not be truly happy until we discover what our gifts and talents are, and then use them the way God intended. Then there’s a sense of achievement. What if someone believe he is using his gifts and talents to do what God intends, yet he is unhappy? Well, it may be the context in which he is applying the gift. You can have a great gift, but if you’re in the wrong context, you’re not going to be happy. All ministry is contextual, all life is contextual. Every depends on the context you’re in. On Saturday (May 27) you taught us about the essential nature of God. That would also shape what we expect from a relationship with Him? Our expectations of God can be summarized in an understanding of His nature. The nature of someone is their inherent character that influences and controls their words, their thoughts, their motives, their actions, their attitudes. So, when you understand God’s nature, you know what to expect from Him. God is love. God is life. God is light. No matter what the circumstance, no matter what the situation, He’s going to respond with love, with life and with light. He’s going to desire to benefit you at His own expense. He’s going to breathe life into the situation and He’s going to bring illumination. You’re going to learn something. And God is unchangeable, He’s immutable, so He’s consistent with that. So, once you understand that person and his nature, you know what to expect from them. You know a person who, by nature, angry, critical, docile—whatever their character or personality is—you already anticipate what to expect from that person, right? Something interesting you said was that we anthropomorphize God, that is, we attribute human characteristics to Him but God isn’t subject to those emotions. However, we have been taught in church that, for example, “God is a jealous God”. How do we reconcile this? No, because remember God took on human form, and in humanity—Jesus as a human got hungry, He got tired, He got angry—He experienced the whole gamut of human emotion. So that hypostatic union—the merging of the divine and the human in one—allowed us to experience Him. Jesus said, “You see me, you see the Father.” Jesus came to express God in human terms. So there’s nothing wrong with that (anthropomorphizing) but we cannot reduce God to being human. And too often we do. Just because I’m saying something in simple form to help you understand, doesn’t take away from the complexity of it. God is transcendent—He’s not subject to time and space. We attribute a human form or personality to things that are not human, and we do that every day. Because, what does God have to be jealous of? To say God is jealous is simply to express, in human terms, God’s holiness and God’s rejection of what is not consistent with what He has established as a priority and that is, that you have no other gods before Him. He communicates in human terms for our understanding, it doesn’t change the true nature of God. Jesus said, “No man has seen God in His fullness and His true essence.” Through the only begotten Son, He is revealed. You taught us a while ago that relationships go through four phases: introduction, acquaintance, friendship and intimacy. Looking at relationships with God in this way, few Christians are at the intimacy phase, yes? What is the definition of spirituality? Spirituality is the human capacity to know and experience God. Too often, we focus more on the experience, but not the knowledge. We experience God in worship, in prayer, in fasting, in spiritual disciplines, in the community of the church, in spiritual music, movies, books, etc. But we know God through the study of Scripture. And we don’t study the Scripture! He said we do error because we don’t know the Scripture. God’s power is what we experience; Scripture is how we come to know Him. That’s important. The last 100 years of Christianity has been dominated by an experiential knowledge of God. The gifts of the Holy Spirit, the charismas, speaking in tongues, healing and prophecy and all the wonderful things that we worship. But that doesn’t bring you into a deep knowledge of God. Why do people find it hard to know Scripture? That’s why the teaching ministry is important. The people of Israel suffered when there was no teaching priest (2 Chronicles 15). But we are drawn to the spectacular, the sensational, and we live in a sight-and-sound generation where everything is sensationalized. Media now is not about journalism; it’s about entertainment. News as entertainment. And if it’s not entertaining, we tend to turn it off. That being the challenge, how do we raise our children to know Scripture? Catechize them. Catechesis is the history of the church, and we’ve gone away from catechizing. See, the mission of Jesus is evangelism: preach the Gospel. But the vision is discipleship, the transformation of people, and through people, society. Where do we begin? How do we catechize our people? You buy AR Bernard’s book. Because in there, I talk theologically about very essential doctrines that we have to understand and believe because they shape our world view. But we’ve gotten away from that. We’re good at storytelling, and stories are powerful; they’re great and they’re important. But we need to be taught. Discipleship means submitting to a teacher. At CHC, we have Bible study courses. But how do we know if we are being effective? That’s just it! How do you measure? How are you measuring? What is your metric? Did they get the certificate? Did they get the degree? Did they pass through the class? Can they memorize the nine gifts of the Holy Spirit? How are we measuring success? True success is the degree to which we bring the transformational presence of God into the life of the individual as they grow. We’re going to start working on catechism for your church. The current materials are based on what Pastor Kong experienced. He grew up in Pentecostalism, [the] charismatic [movement], Word of Faith—those are three major influences that shaped the early life of this church. You’re now in a new season that’s requiring you to dig deeper and lay a much stronger foundation. So hence, I’m back. We need to teach – not just teaching but what we teach. There’s teaching going on but why aren’t we making disciples? You’re transformed by the renewing of your mind. Teaching [should be] producing disciples, and followers, stronger and stronger followers, convicted followers. When I made a decision to resign from the President’s [Trump’s evangelical] advisory council, it was a very bold decision and it took courage to do that. But it was easy for me, it wasn’t a hard decision. I didn’t go through any changes. He crossed the boundaries, I had a decision to make, and I did. It’s a conviction. We’ve got to build a moral compass into people because decisions are not made in a moment of time—they’re rooted in character. And character is those attributes that determine our ethical and moral actions and reactions. I think in terms of definitions (laughs). This is so exciting. When will you be back with us? Mother’s Day weekend next year. [Meanwhile] this book is going to begin the process for you. The book is very catechetical. And even the term “catechize”—it’s not a term you hear. We don’t think about anthropomorphization, the immutability of God, the unchangeableness of God. We hear it motivationally—“the same yesterday, today and forever”—but what does that mean? You have to examine what these things mean. Theology is, according to St Anselm, faith seeking understanding. Because when you take the words “theo” and “-ology”, the study of God—how do we as finite beings study God? That’s ridiculous. But if we understand it as faith seeking understanding, then theology makes sense. You said that discerning the times is critical. What times are we in? Wow, how do we describe the times we’re in… What’s happening is we’re being forced to examine our interior life. Because we’ve been so absorbed with our exterior life—image, brand, brand identity—we’re bring forced to look inside of ourselves. That’s across everything, every industry. Every social institution: government, family, economics, education, entertainment, arts. In the United States we have a moral crisis with the #Metoo movement— Harvey Weinstein was arrested—and in every industry, leaders that abuse that power [are being held responsible]. So globally we’re being forced to examine our interior life. Yes! God is imminent. He is actively involved in human history. Some Christian women came out to talk about abuse in the church as part of the #Metoo movement. What’s your view? What’s their motivation? Do they have a legitimate concern that lends itself to healing? Remember, if we’re going to follow God’s nature, and reflect that nature, then whatever we do, whatever comes out of us should be governed by love, life and light. If we’re not bringing love, life and light to the situation, we’re not representing God. And we have to be His ambassadors. Final question: You brought up the question, what should we continue and what should we change? Ahh, the secret to longevity, managing continuity. Wisdom is the ability to discern and courage to choose good over evil. Wisdom comes from God. “Count it all joy when you go through temptations and trials”—what does he say? “If any of you lack wisdom, let him ask of God” (James 1). So in the face of bold challenges of life, what do we need? Wisdom. Every problem in society is a wisdom problem. And that’s why Scripture says “wisdom is the principal thing”. It is the highest good that any human being can possess. If we fall short of wisdom, do we get a do-over? Yes, we do! And in my book, I talk about that. Because that’s part of loving. Can you imagine if the people in our church is convinced of those four things, can you imagine what that’s going to do? This book, I believe, is to be released to the body of Christ globally, to really effect change by relaying the foundation. It’s kind of a returning to your first love. This morning when I called one of my team members to begin the process of working on a website and a cover for the book, she said, “In order for us to to get a feel for what the cover should look like, I need the chapters.” I said, “Okay I’m going to need some time.” I hung up. Within 10 minutes, the Holy Spirit gave me 14 chapters for the book. Boom boom boom boom. I called her back, I said “I got the chapters”, she said “What? !” So I went through with her, and we changed one and combined it and now it’s 13 chapters and we’re off and running. When that kind of inspiration is taking place in creativity… you know God is pushing something and releasing something into the world. Follow Dr Bernard on Facebook and on Twitter @ARBernard.